Nike's latest activation for its Unlimited campaign is creating a lot of buzz, and for good reason. It's one thing to talk in a commercial about limits and boundaries a brand like Nike might allow you to push, but it's a whole 'nother thing to allow consumers to actually experience it. This is exactly what Nike is doing in the Philippines. 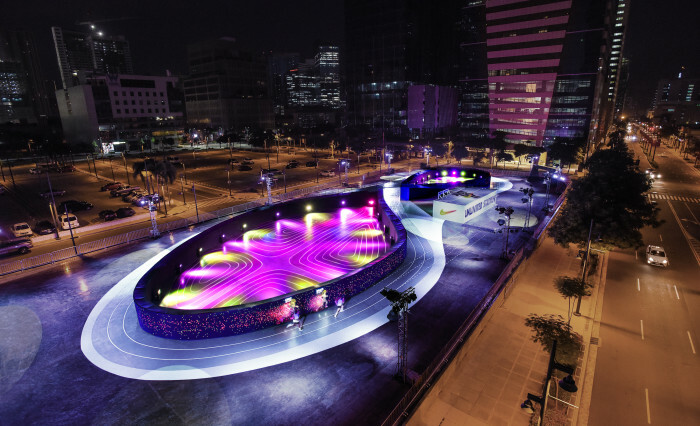 They've created a giant replica of their newly launched Nike Lunar Epic shoe in the form of a 100-meter stadium where 30 runners at a time can compete with their very own avatar. Through a series of challenges, they are encouraged to beat their avatar, and ultimately push themselves further than they thought they could, mimicking the feeling they'd get when they push themselves in real life. Talk about a compelling experience!